Learning Tree brings together children from 6 weeks to 12 years old in a safe and sound, yet fun and stimulating educational environment. Whether your child is in our infant, toddler, preschool, pre-kindergarten, kindergarten, before-school or after-school program, he or she will learn from various activities while growing alongside others. Learning Tree believes in maintaining a healthy mind, body and spirit. 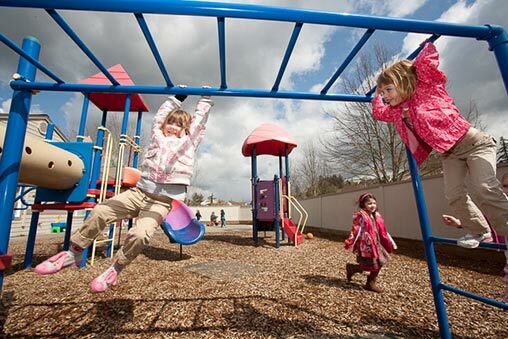 To promote health and wellness for your child, we offer multifaceted play areas providing plenty of fun options. We also organize games and activities that promote teamwork and camaraderie. In the fresh air, your child will find the strength and energy he or she needs to stay active and well for years to come. We’re hiring quality teachers to join our growing team. Our teachers benefit from competitive benefits. 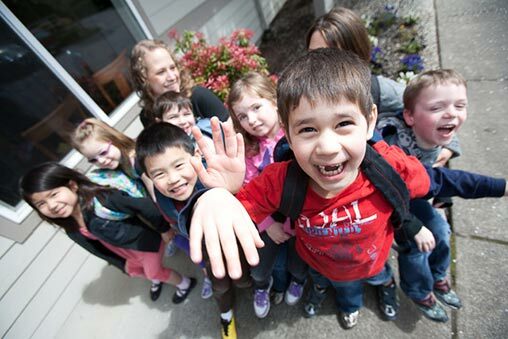 As the “Leaders in Quality Childcare” serving Hillsboro, Aloha, Beaverton and other Portland communities with leading-quality preschools, Learning Tree offers very reasonable and low-cost monthly tuitions and family pricing (10% off of your oldest child). Rates are based on family needs and class availability. Enrollment at one of our schools requires payment and a signed registration packet, to ensure we outline the exact services you require and what you can expect from us. We’re hiring great teachers. Join our team! We are looking for highly qualified and energetic teachers to join our growing team at three preschools and childcare centers in Hillsboro, Aloha and Beaverton. Our teachers benefit from competitive benefits. We have many teachers who have been with us for well over 10 years and some 20+ years. Interested in employment opportunities at Learning Tree? Please fill out and submit our Job Application Form. Your staff was patient and nurturing with our daughter from the very start. And recognizing that she was ahead of most others in her class, they provided appropriate activities. We also appreciated that somebody was always at the front desk to address questions or relay any unusual behaviors. Thank you for running such a welcoming and positive daycare. As a parent, I really appreciated your flexibility. Your teachers and staff provided a great experience—so much so that we’re sad to leave! We’ll miss you. Thank you so much for all you do. We’ll miss your smiles in the morning and laughter in the afternoon. I’m so grateful for the excellent care your staff provided for Morgan and McKenzie. You have a great team! Thanks again, and we’ll stop by to visit.